GexCon has been involved in many of the important R&D activities on hydrogen safety in recent years, including being partner in HySafe EU-network of excellence and participating in IEA hydrogen safety expert group. We have also performed inhouse explosion and dispersion experiments to build competence. The GexCon team has written several papers in the area of hydrogen safety. 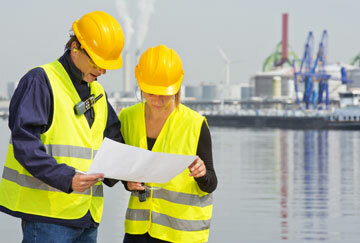 GexCon has performed significant research in the field of hydrogen safety. FLACS had been extensively validated against hydrogen experimental data and since 2005 has similar prediction quality to that of methane and natural gas (See paper from International Conference of Hydrogen Safety, Pisa 2005). 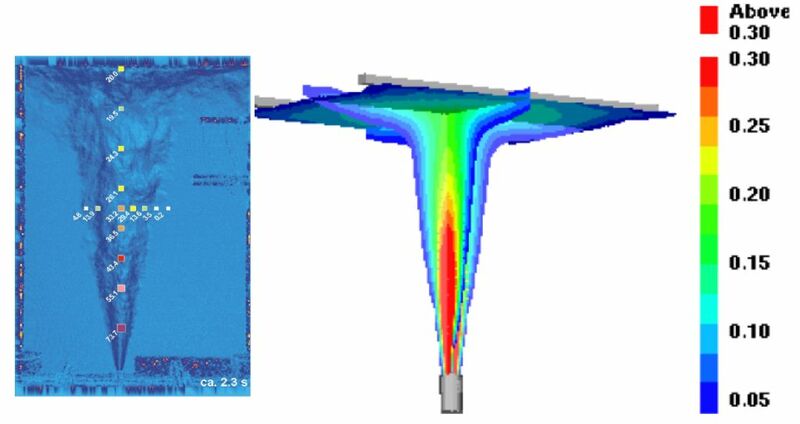 FLACS has become a preferred tool to model hydrogen dispersion and explosion challenges among leading institutions from several countries. In addition to performing our own experiments to investigate hydrogen flame acceleration as function of geometry layout and congestion, we have also been modeling numerous other experiments from HySafe cooperation partners, Shell, SRI and Fraunhofer ICT to mention a few. The results of these studies can be found in a number of conference and journal papers. As one example of a cooperative R&D effort within HySafe NoE, we blind simulated (experimental data not yet obtained) a number of different hydrogen release tests to be performed by FZK to contribute to their planning of experiments. The experiments were thereafter performed, and it could be concluded that our FLACS predictions correlated very well with the test results (see picture below and paper from ICHS2 for more details).